Romania is an affordable and easily accessible destination for dental travel abroad. Many patients from all around Europe but also from other countries are choosing to come here to solve pressing dental problems. 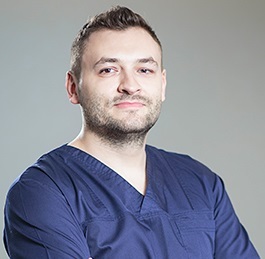 Romanian dentists are professional and work with good materials to ensure the durability and quality of dental implants and other dental restoration works. At our dental clinic in Bucharest patients can also count on our dentists’ expertise for more complex procedures such as oral and maxillofacial surgery. If you are a dental patient from the Netherlands you should consider coming to Romania for any dental problems. 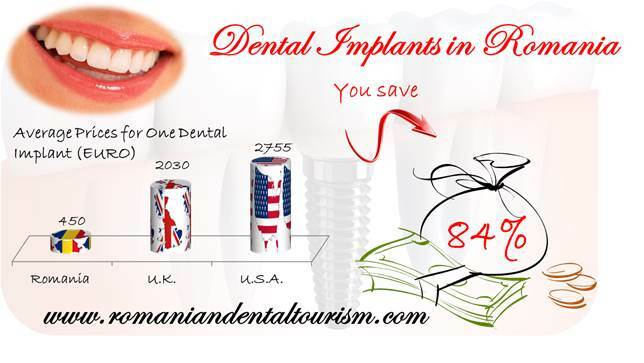 Romania offers an excellent quality-price ratio for any dental treatments. 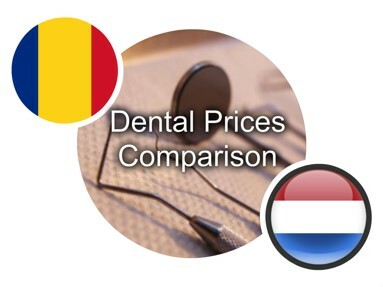 While in most western European countries people postpone significant dental work because of the high costs, in Romania patients find that they can benefit from quality treatments at lower prices. At our dental clinic, the price for dental implants starts at 450 euros. The price for the same procedure in a Dutch city will start at nearly 600 euros in Amsterdam. Root canal treatments in Romania have a price of 70 euros for a classic treatment while in the Netherlands the same procedure will start at about 90 euros per tooth. Dental prosthetics such as dental crowns have a starting price of 190 euros in our country while in the Netherlands the starting price for these aesthetic prosthetics is 230 euros. Our dentists can tell you more about the complete costs and the time needed for your treatment after an initial consultation at one of our clinics in Bucharest. Romania is not only an affordable country for dental travel abroad but also for tourism. Patients from the Netherlands who visit our country and stop in Bucharest for dental treatments can also add a few days to their trip to visit popular cities or tourist attractions. One option is to travel to Sinaia, a popular mountain resort very close to Bucharest, to visit the beautiful Peles Castle. From there you can venture further into the magnificent landscape of Transylvania to visit our most popular castle, Bran. Those who prefer to stay in Bucharest during their trip will also have numerous options for entertainment in Romania’s capital city. For more information about traveling to Romania and planning your dental trip you can contact our dentists in Bucharest.